The lack of fuss may be explained in part by the event's location, to the east of the country, well away from the capital. While last month's KharCon may have taken place as planned, March's is in doubt, with the event website reporting a lack of down-payments, despite the addition of trainers for "master of the needle", "skilful paws" and "tail construction" and an extended three-day schedule. A 500 Ukrainian Hryvnia fee (~US$57) is required to attend KharCon, which has been held irregularly since October 2012. Guests who don't need all meals (chicken, noodles and kebabs) or rooms may pay less. 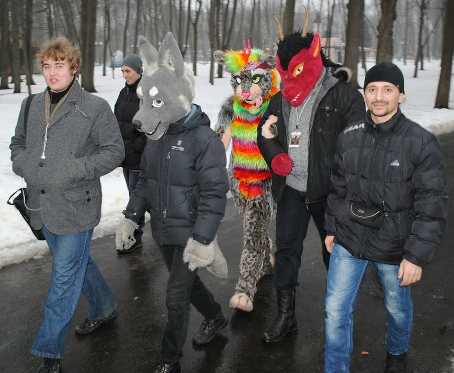 Regular events include fursuit walks, film and cartoon showings (e.g. Robin Hood), social games, a lottery, and a nightly sauna.